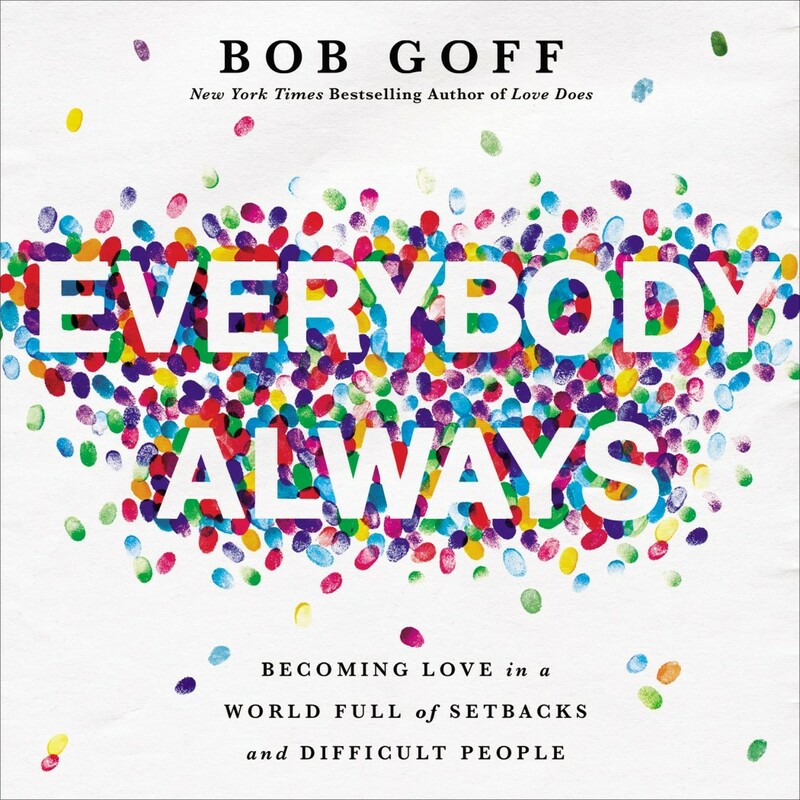 Everybody, Always | Bob Goff | Audiobook Download - Christian audiobooks. Try us free. What happens when we stop avoiding difficult people and simply love everyone? In his wildly entertaining and inspiring follow-up to the New York Times best-selling phenomenon Love Does, Bob Goff takes listeners on a life-altering journey into the secret of living without fear, care, constraint, or worry. The path toward the outsized, unfettered, liberated existence we all long for is found in a truth as simple to say as it is hard to do: love people, even the difficult ones, without distinction and without limits. Driven by Bob's trademark hilarious and insightful storytelling, Everybody, Always reveals the lessons Bob learned - often the hard way - about what it means to love without inhibition, insecurity, or restriction. From finding the right friends to discovering the upside of failure, Everybody, Always points the way to embodying love by doing the unexpected, the intimidating, the seemingly impossible. Whether losing his shoes while skydiving solo or befriending a Ugandan witch doctor, Bob steps into life with a no-limits embrace of others that is as infectious as it is extraordinarily ordinary. Everybody, Always reveals how we can do the same.